what beautiful texture and what a beautiful shade of purple! that is one bizarre looking plant. you don't see those in NJ. What an amazing looking cactus! I've never seen this one before. Its flowers are so unique- like little curling purple and white fingers. Great photos! Cool looking plant! Love the closeup, very nice! Thanks for posting this, had no idea of what it looked like wondering if this is where agave nectar comes from. Looked it up but can't really tell. is that the fruit or the flower section? beautiful, how is your palm, is the heat jump starting it? Mine is up as well at AussiePomm, have a great WW!! I was going to ask if it was a succulent and then I saw the 2nd last pic. My husband is a big succulent fan and wants a succulent section in our garden when it is done. Not sure about it myself, but that one is certainly attractive. Really cool plant - great shots. Nice close up..Color of summer is so great. Thanks everyone! 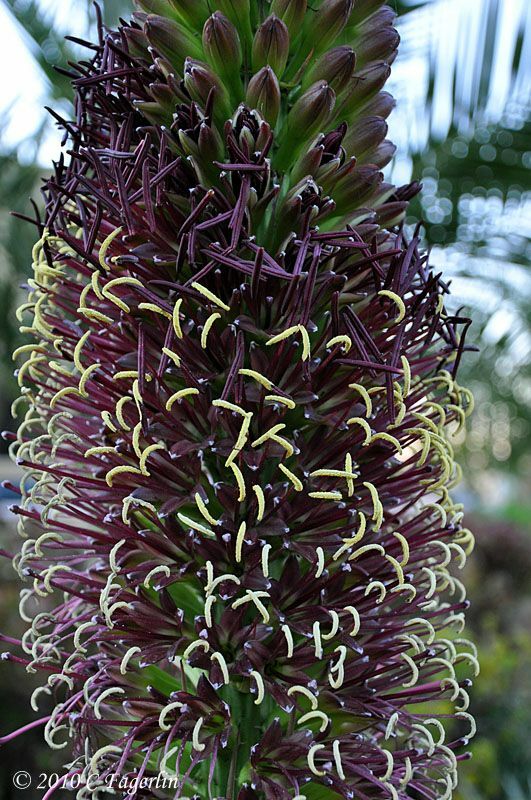 It's a yearly treat to see this amazing plant flower. Sukhmandir Kaur - Tequila and tequila nectar both come from another species of Agave, often called Blue Agave. 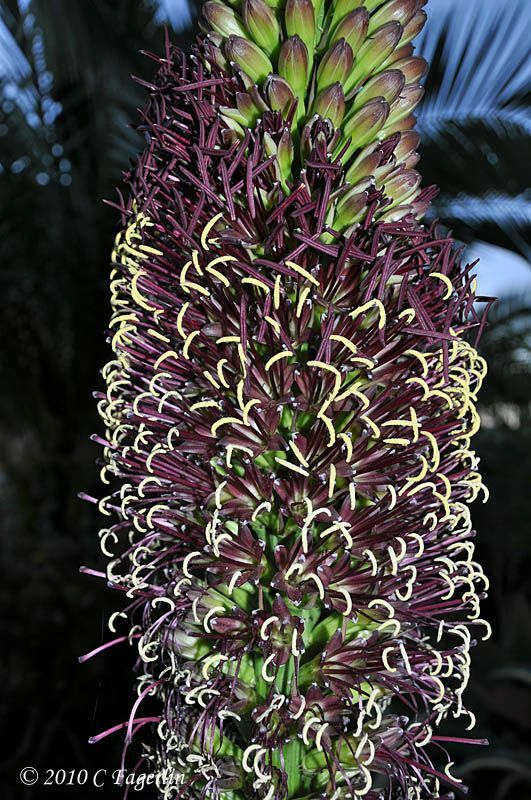 The nectar is extracted by heating up the plant’s pineapple-shaped core, then pressing it. When the juice drips out, it can be either filtered—to make agave syrup—or fermented to make tequila. Agave tequilana is the only species of Agave that can officially produce Mexican tequila. 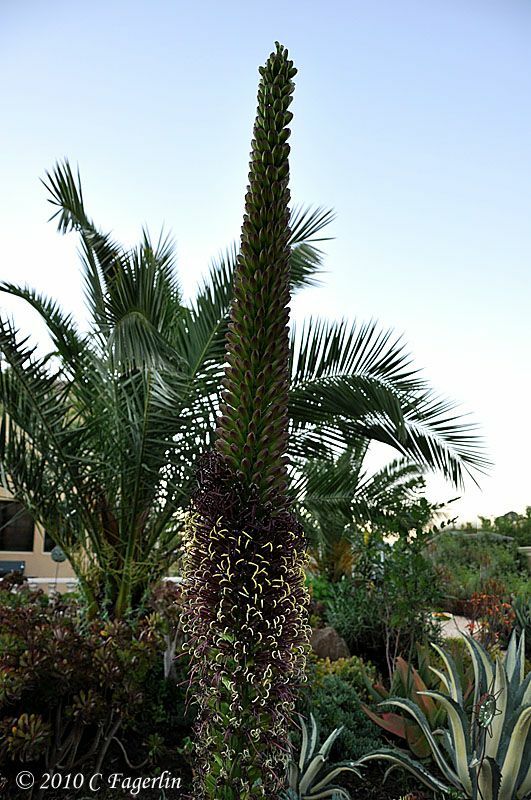 Stan - the images show the flower section, which begins blooming at the lower end of the stalk and working its way up to the top, where the last of the flowers open. blue moon - My King Palm is still struggling, looks like it is having a very bad hair day!